Brief Synopsis – A tough as nail private eye is hired by a Harlem mobster to rescue his daughter who has been kidnapped by the Italian Mafia. My Take on it – This is a film that I was quite happy to add to my list of films for this series because it is one that I’ve heard so much about over the years yet never had the chance to see what it was all about. This film lives us to much of the hype around it and it’s a great detective film that utilizes a storyline that was probably much more innovative at the time, yet it still works really well now. 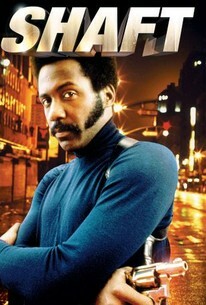 The casting of Richard Roundtree in the lead was a great one and he is ale to give off the kind of “cool” aura that is needed for this kind of character. He manages to be tough as nails on everyone around him in order to get what he needs, but turns completely around when he is with the ladies who feel his vibe because he becomes soft and tender with them. He has an interesting relationship with the police and it works quite well in this story. He gets more credit for things because he is an anti-establishment character who knows how to utilize the establishment when it serves his needs. The Theme song for the film by Isaac Hayes is great and won an Oscar for Best Original Song. Bottom Line – Interesting film that doesn’t feel as innovative now as it probably did back then. Roundtree is great in the lead and is able to give off the aura of the kind of lead character that this film needs. He is tough with everyone who encounters yet is soft with the ladies when needed. His relationship with the police is an interesting one and that helps give the characters and situations even more clout because he is a anti-establishment character who uses the establishment to get what he needs along the way. Great theme song by Isaac Hayes which won an Oscar for Best Original Song. Recommended! looking forward to the new version. roundtree is the grandfather in that one and samuel l. jackson’s father.